Ha! that was pretty clever. 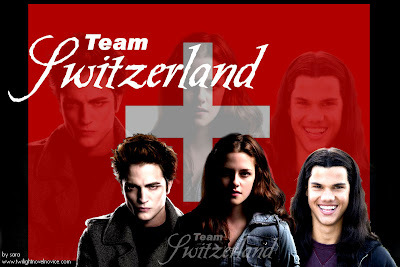 I still maintain for the books team Edward, the movies....team Jacob all the way! Yes, totally with Heather on this one. Sigh. Here's where I stand with Edward/Rob and Jacob/Taylor. Rob: Eh. He looks pretty good at times. Taylor: Ohmygod. YES. "Not to mention when I saw his abs..."